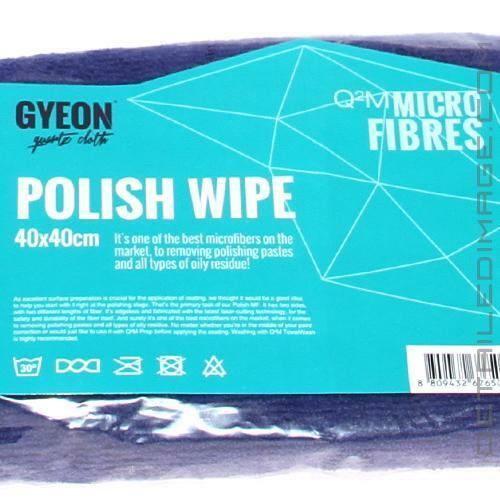 The Gyeon PolishWipe Microfiber helps you safely and easily remove tough polish reside! After polishing, you will need to remove excess polish from the paint to help you inspect the condition of the paint. Being able to view the paint clearly helps you determine if you need another polishing step, or if you are ready to apply some protection. However, this polish residue can sometimes be tough to remove. With the PolishWipe, Gyeon aimed to help you tackle that issue with ease. 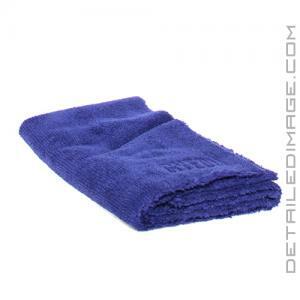 PolishWipe is a high quality, edgeless microfiber towel that features two unique sides. One side is full of long microfiber strands that help you remove polish more loosely bonded to the clearcoat, while the other, shorter strand microfiber side, help you remove toughly bonded polish from the paint. This dual-sided design provides you with the correct towel for any situation! It can also be used to clean your interior, dust, glass care, leather care, etc. Each strand of microfiber has hundreds of micropores that create pockets so the towel will grab and collect excess product, contaminants, etc. Once finished, Gyeon recommends using the Gyeon TowelWash for the best washing results. If you are looking to remove polish residue, or simply want a high-quality dual-sided microfiber towel, the Gyeon PolishWipe Microfiber is a great choice! As excellent surface preparation is crucial for the application of coating, we thought it would be a good idea to help you start with it right at the polishing stage. That's the primary task of our Polish MF. It has two sides, with two different lengths of fiber. It's edgeless and fabricated with the latest laser-cutting technology, for the safety and durability of the fiber itself. And surely it's one of the best microfibers on the market, when it comes to removing polishing pastes and all types of oily residue. No matter whether you're in the middle of your paint correction or would just like to use it with Q2M Prep before applying the coating. Washing with Q2M TowelWash is highly recommended.